A pointer variable can be created not only for native types like (int, float, double etc.) but they can also be created for user defined types like structure. If you do not know what pointers are, visit C++ pointers. 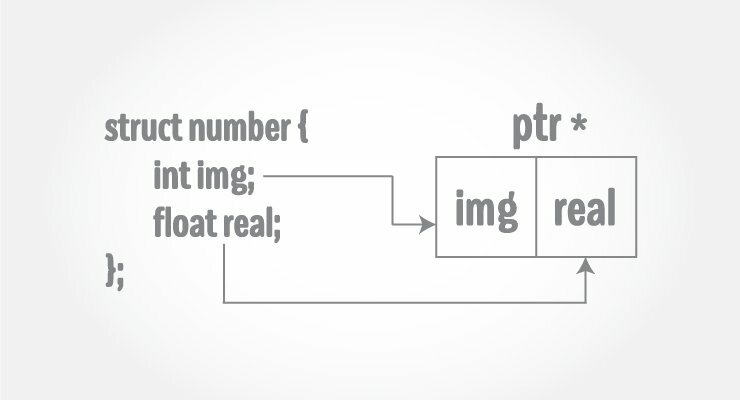 This program creates a pointer ptr of type structure temp. In this program, a pointer variable ptr and normal variable d of type structure Distance is defined. The address of variable d is stored to pointer variable, that is, ptr is pointing to variable d. Then, the member function of variable d is accessed using pointer. Note: Since pointer ptr is pointing to variable d in this program, (*ptr).inch and d.inch is exact same cell. Similarly, (*ptr).feet and d.feet is exact same cell. The syntax to access member function using pointer is ugly and there is alternative notation -> which is more common.